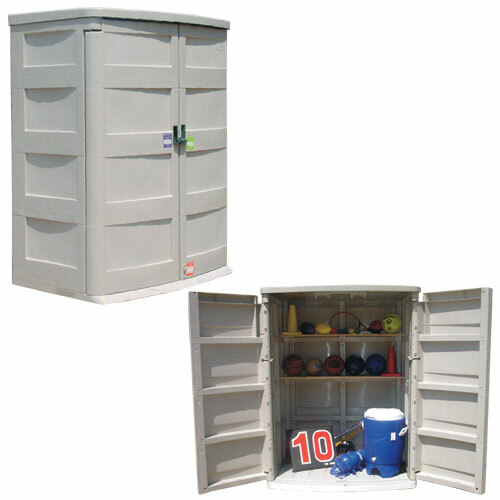 We now offer a complete line of indoor/outdoor storage sheds designed to keep your equipment safe, dry, and out of harms way. Each shed features a padlock hasp for security, 2-door front panel with ramp and door latches to keep the doors securely closed. The durable resin design insures all your equipment stays dry. Included are built-in supports for shelves if you wish to add shelves to your shed. (Shelves not included).